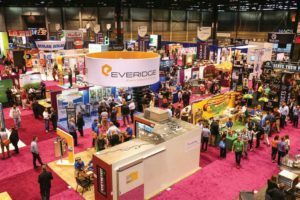 The NACS Show attracts nearly 25,000 convenience industry stakeholders from around the world for three days of expo, networking, and fun. 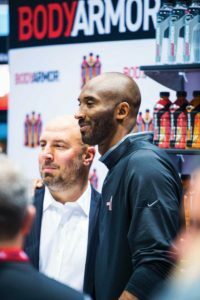 More than 1,300 exhibitors do their best to attract attendees at the NACS Show, often bringing in celebrities like Kobe Bryant to hype their products. 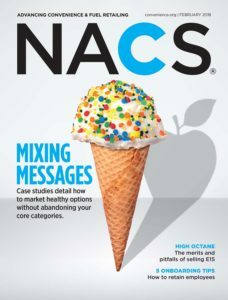 An early 2018 redesign brought the 16-year-old NACS Magazine in line with the association’s new brand and visual identity. 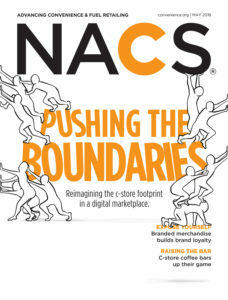 As emphasized in the masthead design, NACS brand mission is to embrace the “C” in convenience. NACS developed its Convenience Intelligence Media Partnership as a branded content offer. This gives advertisers like Vitamix an opportunity to showcase their thought leadership. 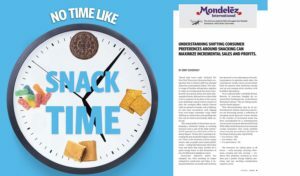 In another example of branded content, advertiser Mondelez showcases its latest research. 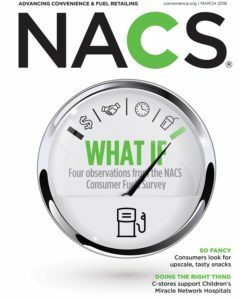 NACS is a trade association that represents the convenience and fuel retailing industry. Basically, that’s convenience stores and gas stations. We have two types of members. Our 1,800 “retail members” are convenience stores — from the big guys like Sheetz and Wawa, down to single-store mom-and-pops. Our 2,100 “supplier members” represent anything you can find in or attached to convenience stores — like car washes and gas pumps, or candy bars, soft drinks, beef jerky, etc. NACS brings these two communities together, through content and events, with the mission of helping everyone improve their businesses. And as a trade association, we also advocate on Capitol Hill on behalf of our retail members, working to ensure they have a level playing field when they go to market. What are the revenue streams for the association? Like most associations, we have membership dues and advertising on our various media platforms. But our largest revenue stream has been the events we produce and host. And while we put on a handful of smaller events over a given year, our biggest is the annual NACS Show. This single event attracts over 25,000 attendees and generates over 60 percent of our annual revenue. It sounds like the show is very important to NACS. It’s great to have an event like the NACS Show that really works. It’s predictably well-attended; it’s a fruitful investment for exhibitors; and it builds our reputation in the industry. But it’s too easy to sit back and count on it. As we’ve learned, it’s risky to put all your eggs in one basket. That was almost disastrous for us. In 2005, we were scheduled to have the NACS Show in New Orleans in October. This brings all these people to the city — retailers and suppliers. Plus we have over 1,300 exhibitors, along with all of their equipment and materials, so we need 400,000 net square feet of expo space. As usual, we had been planning and marketing the event for months, and it was projected to bring in around $40 million in revenue. 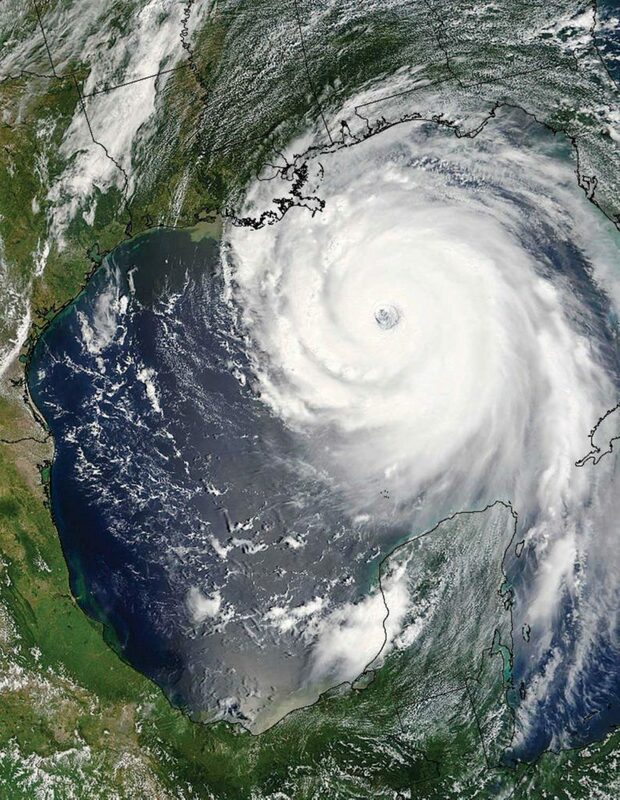 But at the end of August, Hurricane Katrina hit New Orleans. It crippled the city, and nearly crippled us. We couldn’t stage the NACS Show there just six or seven weeks later. Long story short, we managed to relocate it to Las Vegas for November — which was a miracle — but this was a reality check for us. If we hadn’t been able to have the Show, a significant portion of our revenue for that year would have just disappeared. It would have hampered our ability to deliver on our member benefits. This really forced us to look in earnest at diversifying our revenue sources. So where did you turn? We recognize the NACS Show for what it is — our best opportunity to bring our industry together and generate revenue. But we started to look with fresh eyes at other opportunities — in particular, our media platforms and NACS Magazine. Our competitors were pulling significant revenue from their magazines, and we believed that we could, too. We identified what we thought were two very distinctive factors that set our nonprofit magazine apart from the three for-profit ones in the industry. First, ad dollars spent with us go directly to supporting the industry because that’s what NACS exists to do. So for this reason, we can offer advertisers (who are also our supplier members) what we call internally a “heart buy.” That is, advertisers can feel good about advertising with NACS because they’re supporting the industry through their investment with us, and they can make hay about that with their customers. Second, we offer our advertisers a “precision-targeted buy.” Our magazine goes to the high-level decision makers at retail organiza-tions who, by virtue of being members of NACS, signal that they want to improve their businesses. These are precisely the people our advertisers want to reach. We know our readers’ names and job titles and reconfirm this info every year during membership renewal. Our competitors can’t say that. Did you have a team in place that could handle this growth effort? That speaks to another change we made. Up until 2009, we were outsourcing ad sales. That makes it very difficult to pitch this kind of heart buy to our supplier members. You really need salespeople who understand the organization and can speak about more than just advertising. We have research, products and services, events, special membership offers — all of which are good investments for these members. At the time, we had just one admin salesperson, so that year we invested in a sales director. Within another year, we hired a third in-house salesperson, and that’s our sales team today. Well, initially the results weren’t so great. We were making these changes in 2009, 2010 — in the midst of the Great Recession. We were trying to invest in our media platforms while companies were pulling money out of advertising. The annual revenue for the magazine dropped — from $969,000 in 2010 to $817,000 in 2011. Definitely the wrong direction. We were facing a convergence of factors: growing expenses to publish, limping revenue, and myriad new technologies, like the iPhone, coming out and inspiring an interest in mobile and digital. So for people with no experience in publishing, it seemed clear and easy: Cut the cost center. This included some of our board members, who are retailers. In their world, when you have a category in your store that’s not performing well, you stop selling it. In January 2012, I hopped on a plane to attend our executive committee annual strategy retreat, wondering if I’d come back with a magazine to manage. I had identified and implemented ways to cut costs, but what I really needed to do was get buy-in from the board that, despite the tough economics, there was critical value in communicating via print with our members every month. Sending the magazine is like mailing a NACS business card to these folks every four weeks, reminding them that we’re here for them and doing the work to support their industry. If we were to replace it with digital media, we’d risk getting overlooked and, worse, losing the emotional connection and resonance you get with a tangible print publication. Interestingly, what really made the difference in these conversations was a book. Previously, my boss (the CEO and president of NACS), had suggested the NACS executive staff and its board of directors read “Good to Great and the Social Sectors: Why Business Thinking is Not the Answer” by Jim Collins. It’s actually a monograph to Collin’s book, “Good to Great.” His main point is that you can’t define success in the nonprofit realm the same way you do in business. Both require resources and capital as “inputs,” but the “outputs” can be very different. In business, the intended output is profit. In nonprofit, while profit may exist, the intended output is to deliver on your mission. Thankfully, the board got it. They wanted the media group to keep our foot on the gas pedal and generate revenue from the magazine, but they also understood that it’s important to sustain it through hard times. So you walked away determined to keep pushing the ad model. Did you have a concrete plan for how you would do this? It was at this point that we hired our third salesperson. Then we implemented a sales contact database, Salesforce, separate from our member database because the latter couldn’t manage customer relationships, much less prospect ones, in the way we wanted. Of course, that’s a must-have for managing a sales process, and we were hamstrung without it. on, and whether they’ve continued through to our website. This helps the sales team focus on the most engaged among our target audience. It also enables us to test our offers to see which ones resonate with advertisers. Our most critical strategy was moving advertising sales in-house so that our ad reps can be in sync with the organization. Between 2011 and 2014, we grew magazine revenue from $817,000 to $1.4 million — almost double. Have you expanded your advertising and sponsorship opportunities? We’ve been experimenting with branded content. Our supplier members have told us that they want to showcase their thought leadership, so we launched our “Convenience Intelligence Media Partnership.” The main offering is a five-page article in the magazine with the advertiser’s ad on the sixth page. We make it very clear upfront that this isn’t for writing about how great your products are. It’s about showcasing your brand and thought leadership. The advertiser brings the ideas and any available information and contacts to the table. We do the writing and design, and we own the articles. Priced at $25,000, this is a significant spend, so we’ve augmented the program with other, more affordable offerings, including a Q&A that appears in the magazine and a podcast interview, each of which sells for $7,500. Webinars and an e-newsletter series round out the offers. The first year we dove into branded content, we generated $60,000 of new-to-NACS revenue, which was a great indication that we were onto something. Revenue continues to grow — albeit modestly — as we continue to sell and expand these offers. We’ve also begun to work closely with our research department, joining forces to sell a research-advertising package: Advertisers employ us to conduct research, and we get the results out through our media platforms. These days, are you relying less on the annual show as the organization’s main revenue driver? Much of our revenue continues to orbit around the show (still about 60 percent). But we have done two things to increase the organization’s overall revenue while diversifying the streams. First, we’ve been successful building revenue from our media platforms, particularly the magazine, which we’ve been talking about. Second, we’ve added more advertising options related to the NACS Show, some of which take place outside of the three days of the event. I’ll give you some examples. Instead of having just one issue of the magazine dedicated to the show (the October issue), we now have show-related content in four issues (first glimpse, pre-Show, NACS Show, and post-Show). In 2012, we launched a Show daily newspaper, which we produce on each day of the event in partnership with Ascend Integrated Media. In 2014, we started a NACS Show product bag offering. Advertisers can insert a sample product and promotional material into an attendee bag that we distribute from our booth. In 2016, we created a NACS Show e-newsletter that’s sent to all attendees during the week of the event. We’ve also partnered with outside vendors for a NACS Show app, and this year, we’re investing in RFID attendee badges — both of which provide additional revenue streams in lead retrieval. Overall, we generate about $1 million per year in media products linked to the Show, and we continue to innovate and add new products across our platforms that we believe will have value for our members and advertisers. It’s now a recurring pattern. Has the strategy worked? What does the revenue picture look like now? The magazine is a real success story. Since we recommitted to it, we’ve been able to grow our advertising dollars each year by about 2 percent on average. We haven’t raised our ad rates, so this is purely an increase in revenue. In 2017, our total revenue from the magazine was $1.6 million. On our current trajectory, we’ll hit it out of the park this year. We usually meet our million-dollar mark for booked revenue by mid-June. This year, we met it in March, which means we’re almost a quarter of a million dollars ahead of where we were this time last year. The association continues to sustain solid growth in revenue across our events and media platforms, although not without a lot of hard work and innovating around the edges. The NACS Show retains its role as the primary revenue driver but, as always, we’re conscious of our need to look outside of it for long-term success. 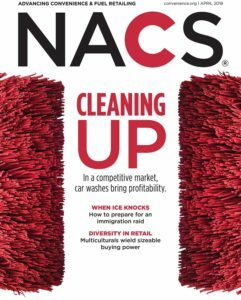 What’s next for NACS and the magazine? There are two areas we’re focusing on. One is increasing the circulation of NACS Magazine. To do this, we’re exploring sending it to nonmembers who either have attended the NACS Show or are members of state and local convenience store groups and associations. We believe this will enable us to maintain our precision-targeted audience (companies who demonstrate a desire to improve their business) and, at the same time, use the magazine to drive new membership growth. We’re also looking for ways to expand our branded content offerings. We’re looking at offers across multiple platforms to attract revenue outside of traditional advertising. And on the NACSmagazine.com website, we want to provide an additive or differentiated experience with audio and video content that can help us grow an audience there. That could lead to additional revenue as well. The pace of technology is creating a content consumer who demands speed and customization. As a result, those of us in media cannot stand still. My team and I are constantly looking for ways to evolve to keep up. I consider my competition to be all media that might take time and attention away from the content I produce, so I set my sights and benchmark against them when I can. We can’t continue to do business the same way every year and expect progress. Erin Pressley is vice president of education and media at NACS, the trade association that represents the convenience and fuel retailing industry. Her teams are responsible for content strategy, generation, and distribution, from events to social media to print to digital. Connect via pressley@pagesthemagazine.com.